Friday 15 November. At the start of 2013, I became a founding member of Rutherford Dance Company Youth (RDC Youth) with whom I have performed numerous times at various events and platforms. The company performed in Birmingham Fest 2013 with an hour long showcase of youth dance entitled ‘EMERGENCE’ at the Crescent Theatre (Birmingham). I was successful in my application for the company’s ‘Win a Pro’ choreographic competition to create my own work ‘Severed Dreams’, on two professional dancers. I now have the opportunity to develop the work from a duet to a trio and to build on and extend the piece. Along with my First Class degree in dance from university I was also awarded a prize for outstanding dance practice for my achievements in performance, technique and choreography modules. 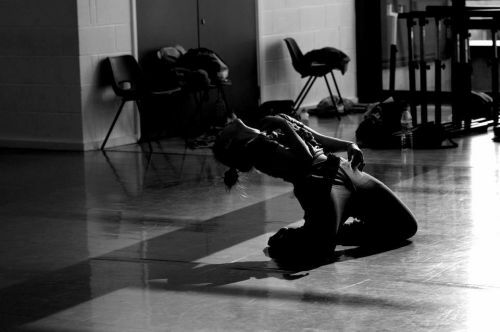 After graduating in the summer I left the Youth company and have since become a founding member of Rutherfrord Dance Company, working with the Artistic Director (Adam Rutherford) and several other professional dancers in the research and development process to create the company’s first piece of work. I have also become the rehearsal director of RDC Youth. I have recently been assisting on Birmingham Dancing, a project commissioned by DanceXchange working closely with choreographer Gary Clarke. Severed Dreams is a dynamic & stylistic contemporary dance piece which fuses the different styles of dance training undertaken by the choreographer into one modus. The aesthetics of the work have an oriental influence, specifically the music and costume as the choreographer wanted to hint at the idea of conflict. The piece reflects the choreographer’s personal journey and her experiences throughout her professional development. It focuses on the points and encounters in life which sever all creativity and drive from an individual and the way that person chooses to deal with these obstacles, exploring the idea that success lies in your own hands. Severed Dreams is a portrait of the internal and emotional battles we experience everyday trying to fulfill our aspirations as professionals, as artists and as humans.